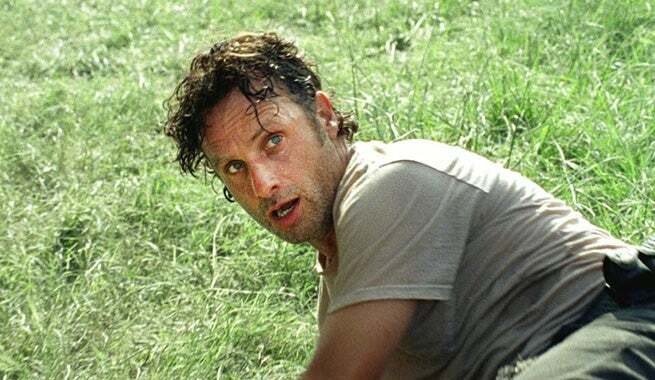 Despite racking up the highest ratings of the season since it premiered on October 11, The Walking Dead's midseason finale has earned quite a bit criticism from both fans and critics, alike. The episode, which seemed to be the payoff of a seven-episode build, cut off in what felt like the middle of scene, rather than a episode-concluding cliff hanger. As a result, Start to Finish has earned a 29% rating on Rotten Tomatoes at the time of this article's publishing - making it the worst reviewed episode of the series. Part of the problem may have been the expectations going into the episode. The stakes appeared to be quite high with Ron having a gun, a Wolf being kept in hiding, and the Alexandria walls falling. However, none of it seemed to matter. With 21 reviews accounted for, the "Critics Consensus," reads, "'Start to Finish' fails to live up to The Walking Dead's potential with a midseason finale that is both dull and frustrating." It's tough to argue with the consensus there. Poor decision making and scattered characters made the episode feel like it was missing its last act. With five minutes left, we were sitting on our couches thinking, "Okay, something is going to happen," then three minutes, "Yup, here it comes. Here it comes." And one minute, "It's gotta happen, now!" When it ended, many viewers were left saying, "That's it?" Carol and Morgan's fight over the Wolf was one of many moments picked on in the finale. Why have such a silly argument while there are bigger problems arising in the community? On top of that, it's just irresponsible to keep this guy alive. Now he's escaped, with guns and a hostage, because nobody wanted to pay proper attention to or subdue him. Then, there was the big question of Carl getting shot in the eye. One could argue that The Walking Dead doesn't have to show all of its cards in such a hurry but then why skip ahead after the episode to foreshadow Negan's arrival in a "Prologue for the next chapter"? Most of the frustration coming for fans in season six has been with the "suspense" the series is building. What started out as an insanely-paced, unpredictable season in its first three episodes stalled with a mystery surrounding the fate of Glenn. The poor reviews and frustration from episode 608 is a direct reflection of the audience's diminishing patience for a series that loves to stretch mysteries out over several episodes. Don't forget, Sophia took half of a season to be found in the barn, so Glenn's fate only taking half of a half of a season was a step in the right direction. In fact, the episode may not be receiving the hate that it is had it aired a few weeks ago rather than serving as The Walking Dead 2015 bow. Tovah Feldshuh had a true shining episode for Deanna's abrupt farewell and Michonne seems to be opening up for an emotional arc. However, the season's first eight episodes needed some payoff, and fans didn't get much with the finale. The Walking Dead returns February 14, 2016 and you can bet that episode will be offering some redemption for fans who want action. According to Robert Kirkman, "So many people die," in episode 609.